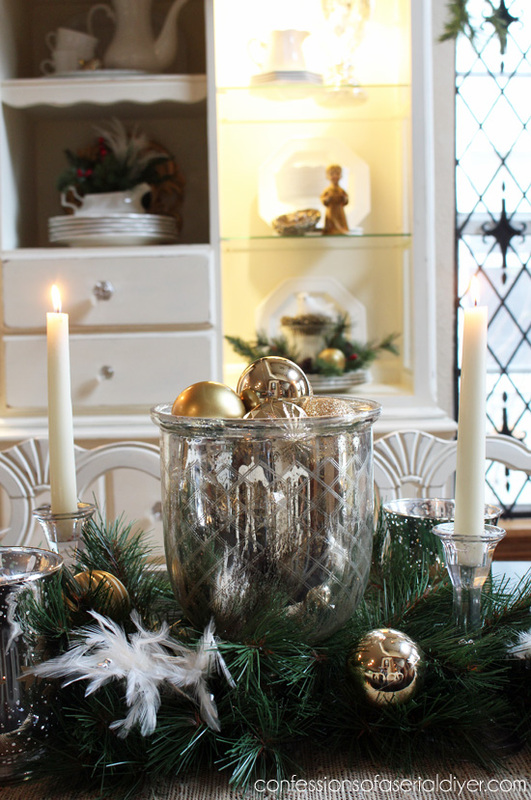 Who still needs a Holiday Centerpiece to wow their guests this year? 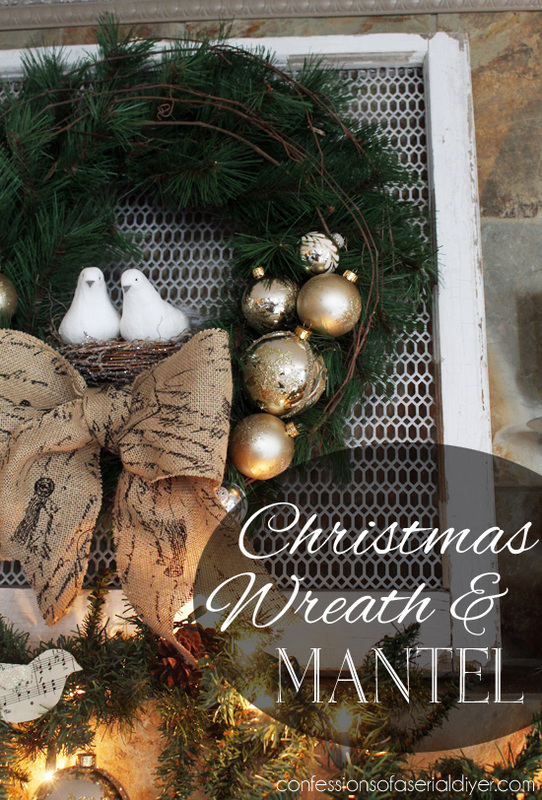 And how did it get to be the middle of December so darn fast anyway? 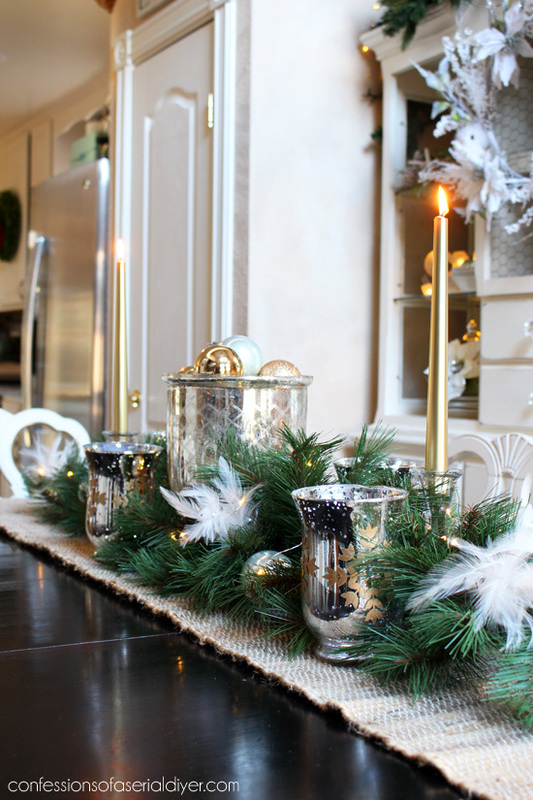 Christmas is fast approaching and if you are like me most years, I am pulling my Holiday table together at the last minute! 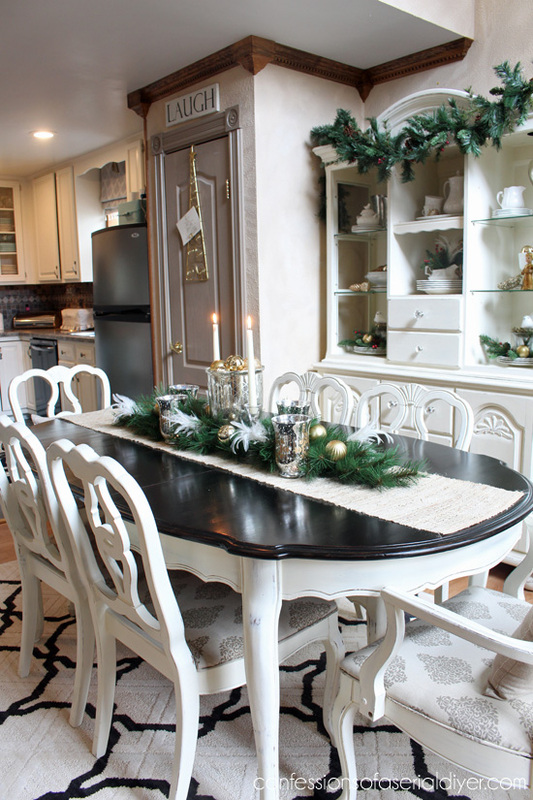 I shared my Christmas home tour earlier in the week which included my dining room. 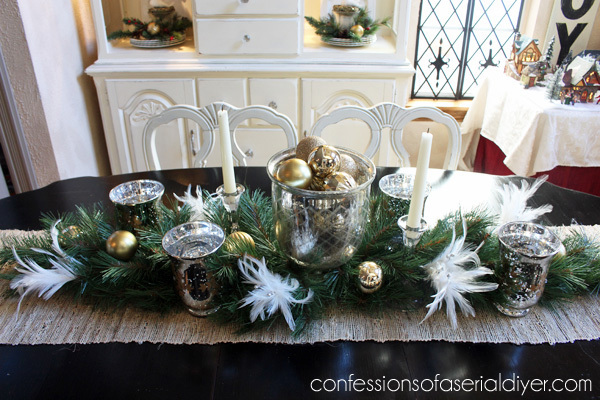 My favorite thing in that space is by far my centerpiece for the table, and today I’m sharing how easily it came together in case you are a last minute Lucy like me! Wasn’t that fun? Let’s slow it down a bit. I put the store beside the items that I purchased this year, so those items should still be available. 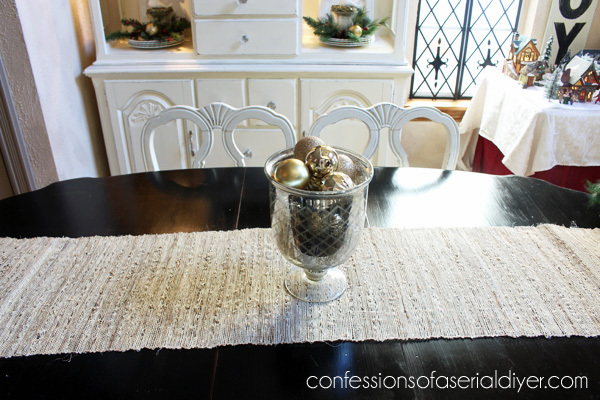 I started with this mercury glass urn I purchased on clearance at Target a few years ago, and filled it with gold shatterproof ornaments. Next I added a swag of greenery to each side. These are tapered, which make them perfect. 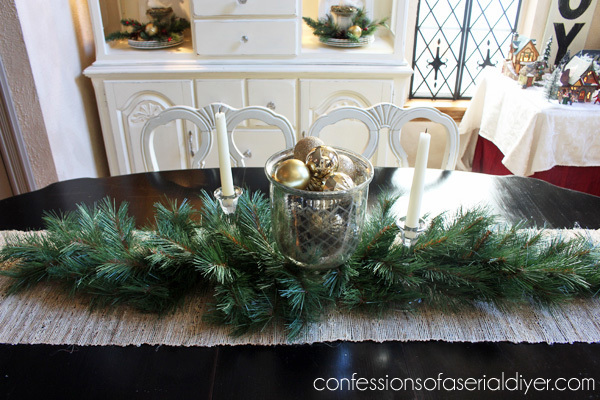 These were purchased from JoAnn Fabrics and were around $6 each at 50% off. 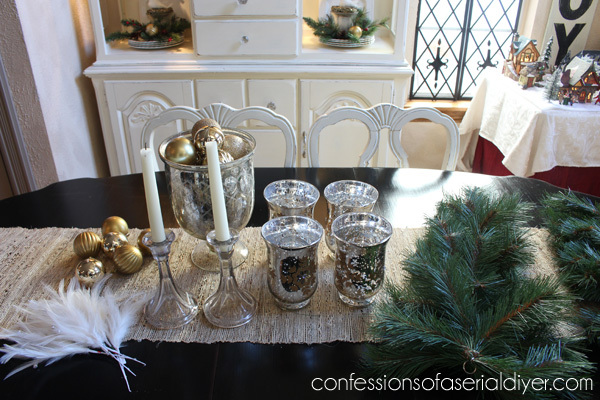 These mercury glass candle holders were found at Michaels last year, but they always have something similar each year. Light the candles and you’re all set! I like that is low also, so that guests can actually see each other across the table. I switched it up just a bit for 2015 for my Christmas Home Tour, swapping out the tapered candles for gold ones and the ornaments for blue! Now to finish my Christmas shopping! I still have a long way to go! Ha! Love it, Christy! 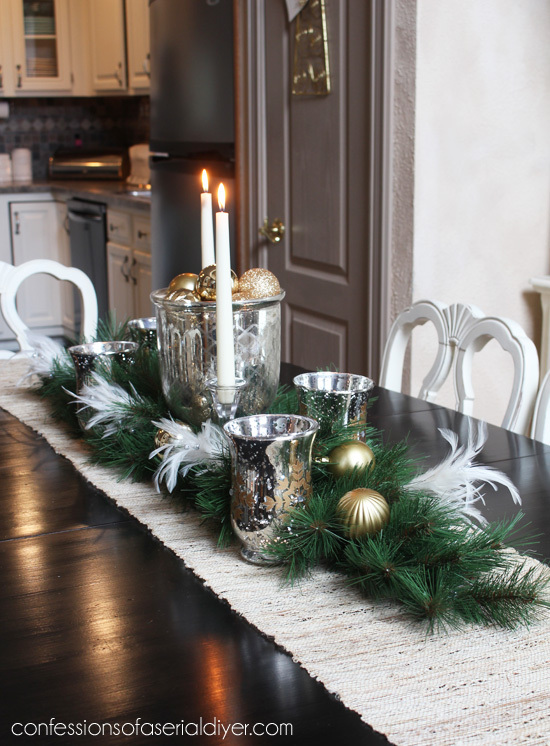 Gorgeous table!!! It’s beautiful Christy – love the sparkle and shine but those feathers are too perfect! Okay that gif is just too fun! 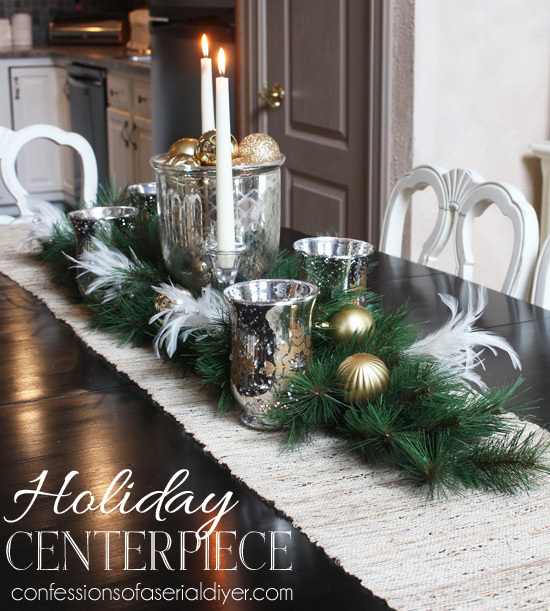 I REALLY like how you showed the assembling of your centerpiece step by step!!! That makes it so much easier to replicate. you put it all together!